The popular HW Series is available at 315MHz, 418MHz, 433MHz, 868MHz, 916MHz, 1.4GHz and 2.4GHz. 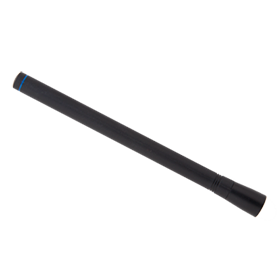 The antenna is black with an SMA or FCC Part 15 compliant RP-SMA connector. To order, please call (800) 736 6677 (+1 541 471 6256 outside the United States).